Is it a food truck or not? 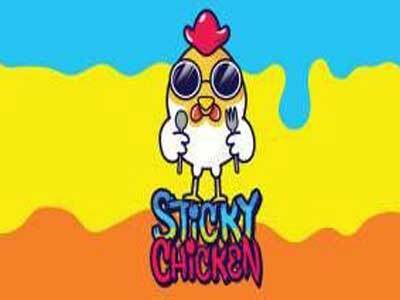 Sticky chicken is permanently parked at the entrance of the Linq Promenade by the Sports Book and serves chicken with an attitude. You can even order right from the Sports Book bar with your phone and never leave your seat. Serving wings from savory to sticky and hot, you are sure to find more than one flavor you like. Choose from Korean, Nashville Hot, Salt and Pepper, Cacciatore Parmesan,, Sriracha, Caribbean Jerk, Bourbon Barbecue, Buffalo, Mango Chipotle, and Thai Curry. Not in the mood for wings they also offer seven chicken sandwiches and three salads. What goes with wings better than a big basket of fries? Order “The Mess” and get them topped with smoked brisket chili, green onion, bacon and cheese.